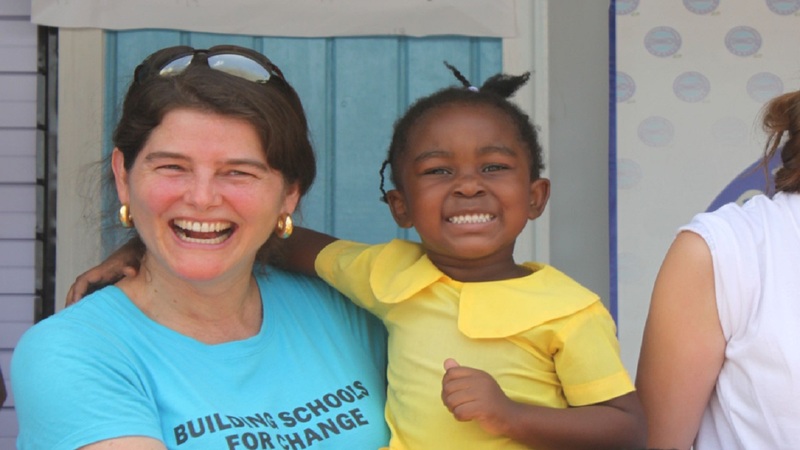 Through the Jamaica 50 Campaign, 100 crumbling schools that were falling apart have been replaced with beautiful buildings with flush toilets, creating safe and inspiring places for students to learn. 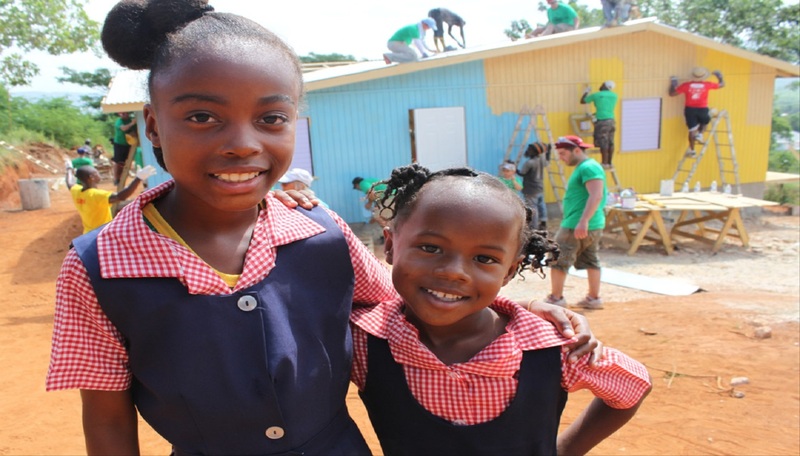 Food For The Poor has built 100 schools throughout Jamaica, thanks to the generous support of its donors in the United States, Canada and Jamaica. 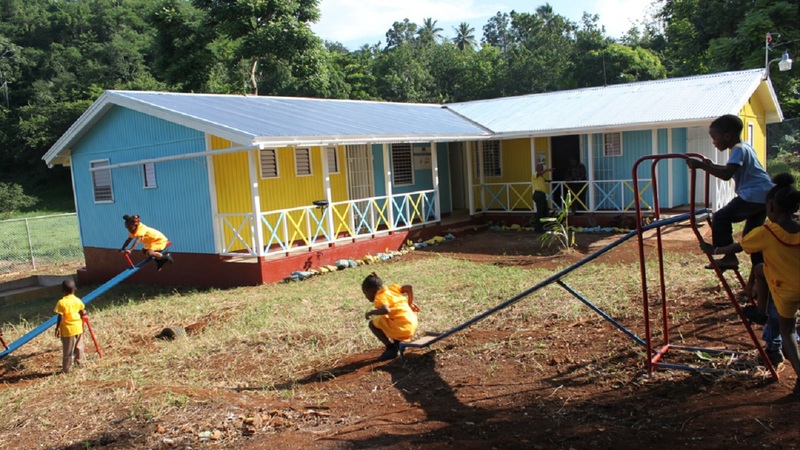 The school building project started in 2012, when the organization embarked on a very ambitious goal, to build 50 schools in 50 months in honor of Jamaica’s 50th year of independence as its gift to the nation’s future generations. Five years later, Food For The Poor has doubled the goal of its Jamaica 50 Campaign with the completion of its 100th school, Mount Zion Infant School in St. Ann, Jamaica. 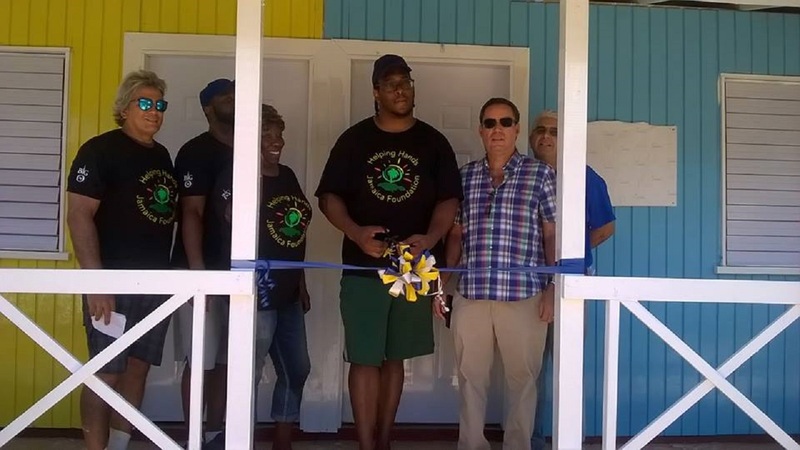 The Food For The Poor-Jamaica office and the contractors truly put their heart into this project and accomplished a tough goal, Mahfood said. The Christian-based organization always has been committed to education. Providing educational opportunities for children whose parents cannot afford to send them to school is the best way to break the cycle of poverty. More than 7,000 children who once attended schools with cramped classrooms, with decades-old pit latrines, decaying desks and chairs, and limited school supplies have benefited from the campaign. Through the Jamaica 50 Campaign, 100 crumbling schools that were falling apart have been replaced with beautiful buildings with flush toilets, creating safe and inspiring places for students to learn. The new schools also are beneficial for the teachers and staff, who now are better equipped to help their young students to thrive.